My hypno-baby Betsy arrived Friday, March 29 (41+2) at 3:53 AM at 7 lbs 11 oz! 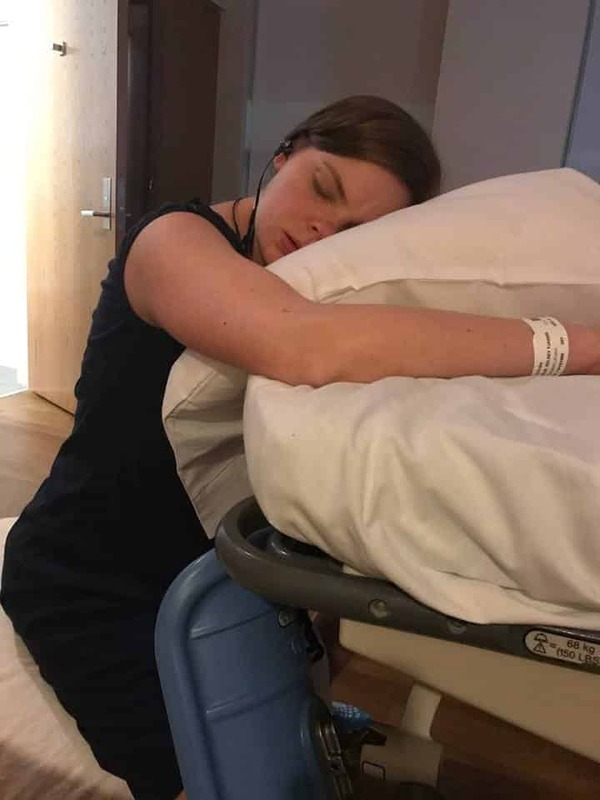 My birthing time felt like a marathon with pressure waves (Hypnobabies word for contractions) beginning on Monday, March 25. They would grow in intensity and then peter out for several days. We eventually scheduled induction to begin Thursday night with a cervical ripener (I was at 3 cm, but my doctor thought I would still benefit from a ripener). We arrived at the hospital around 6 PM for the induction after a day of pressure waves that were becoming more intense. After the midwife saw me, she didn’t think I needed the ripener, only a small drip of Pitocin. I walked the hospital for an hour or so, and the midwife came back in and said she’d been talking with the doctor on call, and they didn’t think I even needed Pitocin and would I want to let things progress naturally? oke at 3 AM and I was quickly ready to push. 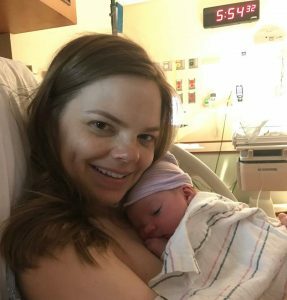 I pushed for about 20 minutes, and then we welcomed baby! In reflection: I was frustrated with myself through my birthing time (Hypnobabies word for labor) that I was not using the hypnosis techniques that I had worked so hard on. I listened to tracks (including Come Out Baby) intermittently through the week, but I couldn’t bring myself to listen to them for 4 days straight! I started listening to Easy First Stage (Hypnobabies main birthing time track) around 6-7 cm and thought “this isn’t working”. However, I later found out that news of my calm and happy demeanor had spread around the L&D ward (of a hospital nicknamed “the baby factory”). 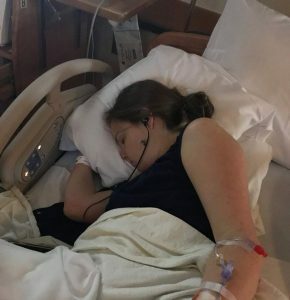 My nurse was a friend of my sister’s, and she told my sister that I was the calmest natural birth she’d ever seen. I also remember being totally relaxed/in hypnosis in between pressure waves to the point of daydreaming about the most random stuff totally unrelated to birthing. My Special Safe Place never felt that impactful to me as I practiced, but I was there the whole time I pushed and I look back on those minutes with strange fondness. As a first-time mom, I had no idea that I was “abnormal”, but I now realize how much Hypnobabies helped me. I also want to mention that I am a Christian, so I combined hypnosis tools with leaning on Jesus through prayer. Although I felt frustrated by God’s timing all week, I now see how He held me and baby in His hands. He worked out the perfect support team of a midwife I trusted and a nurse who treated me like family (she literally told the other staff that we were family though I barely knew her). We are so thankful and enjoying getting to know our little one.